So I took a drive out to Handlebar Ranch, or Munchkinville if you prefer to call it. I still get inquiries as to it’s location, and for info on the legends about the place, so I thought we’d show you what it looks like today. The place has been closed and the lot vacant for years, and is actually owned by Rumpke now. 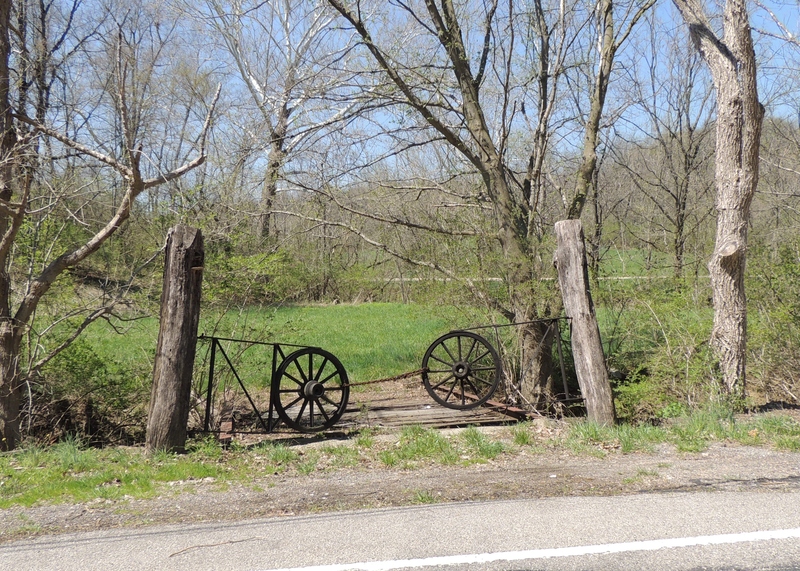 All that remains is the wagon wheel gate, the old, wooden bridge, and some cement walls. Now obviously, there never was a town of retired circus midgets here, but it sure made for a good story. If you don’t know the story of Munchkinville, you can read about it HERE. And if you want to see it yourself, It’s located at 11317 Hughes Road in Northern Cincinnati. But, again, no Trespassing…you don’t wanna piss off the midgets! Since I’m from the area I often drive through there on my way to different places. It had been a few years but I finally made my way through one day to discover it was gone. I hadn’t heard anything, so it was quite a shock. Yeah, you definitely don’t wanna piss those midgets off!